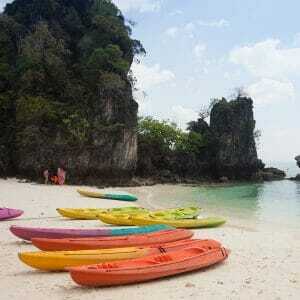 Krabi Tours. Krabi Province is located in the south of Thailand and is worldwide well known as an amazing beach destination, the landscapes here are uniquely distinguished by sheer limestone cliffs, forests exploding with vegetation and dense mangroves, more than a hundred islands in the coasts proximities. 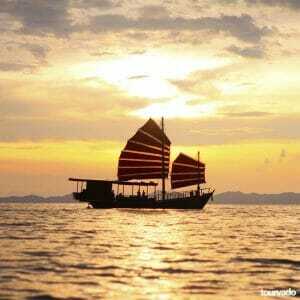 It is surrounded by the crystal clear waters of the Andaman Sea. 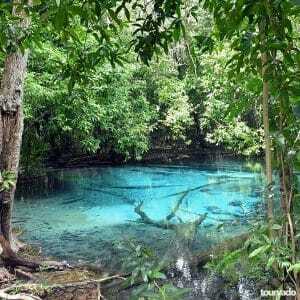 Most of the region has been given to several national parks due to his incredible naturalistic values. 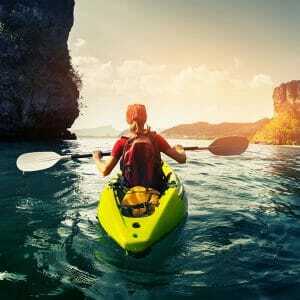 Krabi tours have a lot to offer to tourists of any age and preferences. Sailing, exploring the islands with boats tours, kayaking, snorkeling are also among the top activities attractions in Krabi area, the natural parks here also gives a lot of opportunities for great trekking, caves exploring and waterfall enjoyment. 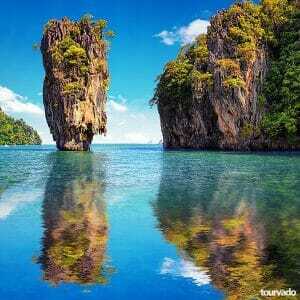 Below you can discover the best Tours in Krabi, the favourite destination on the west coast of southern Thailand. 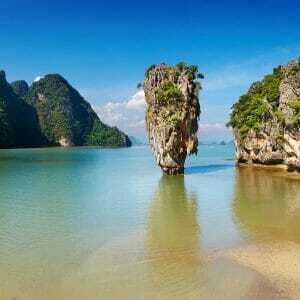 On of the center of tourism to visit with Krabi tours is for sure in mainland Krabi, Ao Nang. Ao Nang started out just a some years ago as fishing village and it is now still growing fast but it is still very much a well grown village so keeps all the nice feel to it. It is also divided into separated areas by mountains and great cliffs that ensure always an amazing view all around the small towns. 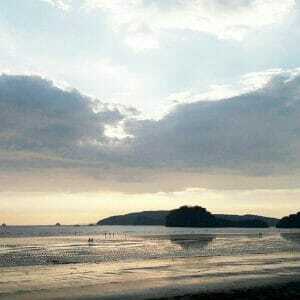 The beauty of Krabi tours is that thay can also bring you to several islands and several beach areas which are actually National Parks, so very well preserved and incredibly beautiful. There are no private beaches and no areas are excluded to you to explore. For example you can also enjoy a Krabi tour to visit the Tiger Cave Temple. just outside Krabi Town, one of the 'must see' of your Krabi holiday. It's a an incredible place and if you can make it up to the 1237 steps than you will witness most amazing view of the region. There are so many place for you to visit with on of our Krabi tours and many places you can enjoy and discover such as for example Thalane Bay, standin out as one of the most amazingly beautiful bays in the world and reviving memories of the Ha Lung Bay in Viet Nam. Just the scenery makes it well worth the trip!